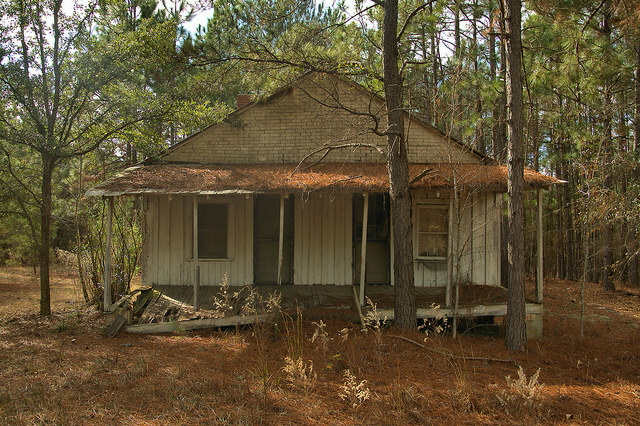 Jerry Whigham writes: This is my grandfather’s (Jim Whigham) house that he built by hand in 1951. He lived here until 1990. In 1951 power lines were run down this highway. He was already living on this property in an older house near the old barn about a quarter or half mile back from the highway, but it was cheaper for him to build a new house near the road than to have electrical service run back to the existing house. He used his own trees for lumber which he took to the sawmill. He used his own labor. He also used parts and pieces from the old house. My father (Joseph Neal Whigham) wired or helped him wire the house. As of 2018, this house has been torn down. This house has been torn due to highway expansion. 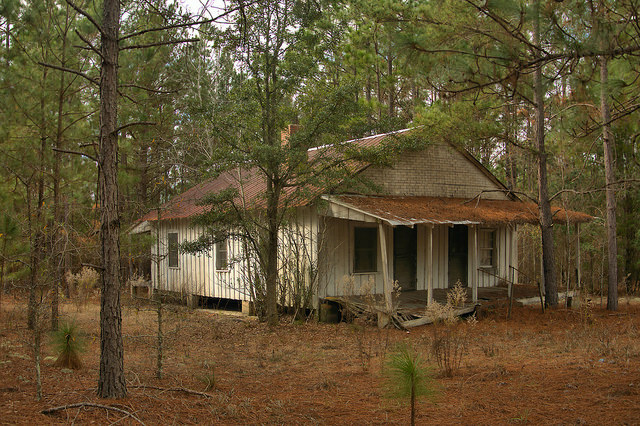 This is my grandfather’s (Jim Whigham) house that he built by hand in 1951. He lived here until 1990. In 1951 power lines were run down this highway. He was already living on this property in an older house near the old barn about a quarter or half mile back from the highway, but it was cheaper for him to build a new house near the road than to have electrical service run back to the existing house. He used his own trees for lumber which he took to the sawmill. He used his own labor. He also used parts and pieces from the old house. My father (Joseph Neal Whigham) wired or helped him wire the house. I love this photo. I just moved to Georgia and just driving up and down 117 from Eastman to Douglas I see these houses that I so badly want to photograph before someone goes in and tears them down. It is sad. There is even a spot that has old restrooms still standing on the side of the road. just outside of Jacksonville. I hope that you plan to keep the photos coming. Then if you drive through Rhine it is like a old western that has been closed down. Thank you for the photo. This house is on the Eastman/Cochran hwy. in Dubois area. Thanks, Debra. I’ll add that to the post.